Adam Schefter woke up early today and jumped on two stories that will disappoint fans of ridiculous melodrama. 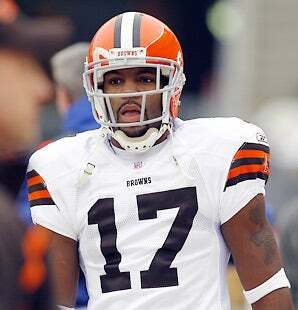 Now that the Braylon Edwards saga is over in Cleveland and Michael Crabtree has ended his holdout, what will we talk about? According to ESPN.com, via Schefter, Edwards has been traded to the Jets. This is a somewhat surprising move for several reasons—one of which is that the Jets are actually kind of good and handing a headcase to their rookie quarterback will certainly not help his poise. Also, the NFL is still investigating whether Edwards violated their conduct policy by punching a friend of LeBron James, so that's another headache they don't need. ALSO: Michael Crabtree is finally a 49er, but he's pretty much already squandered his rookie year and will likely be playing catchup for his entire career so we don't have to think about him anymore.